Mon., Jan. 29, 2018, 9:03 p.m.
Records and honors are going hand-in-hand this week for Bogdan Bliznyuk. 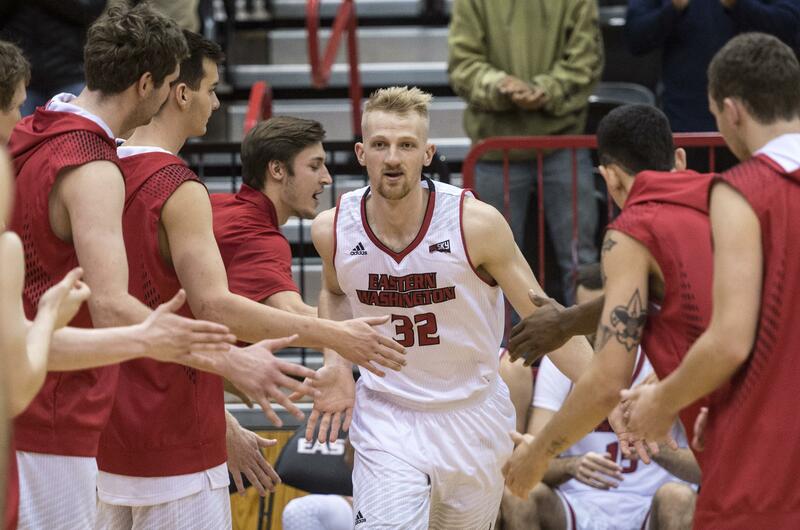 On a record-setting week when he became the school’s men’s basketball career scoring leader while also climbing into the top 10 on the Big Sky Conference scoring chart, the Eastern Washington University senior has been named the league’s Ready Nutrition Player of the Week. He is the first Big Sky player this season to earn the weekly honor twice. Bliznyuk led the Eagles to a weekend sweep over North Dakota (95-71) and Northern Colorado (67-65), averaging 27.0 points on a sizzling 65.7 shooting percentage (23-of-35) from the floor. He helped EWU improve to 11-11 overall and 6-3 in the league to sit in a tie for third place in the league standings. Published: Jan. 29, 2018, 9:03 p.m.